I am getting ready to get out in the heat (eeeeek) but before I want to share this lovely manicure with you all. 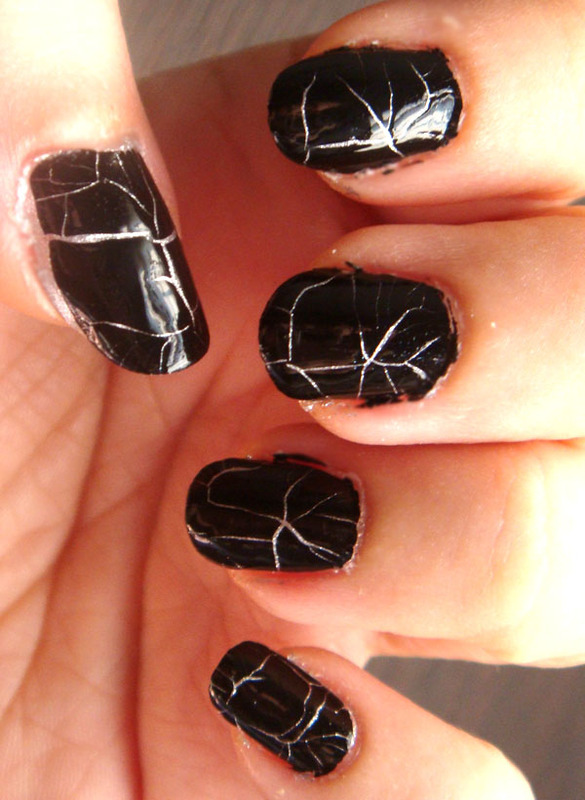 Ever since I saw the BYS cracked polishes, I wanted one so badly. Thanks to my dear 'Chelle I now have a black one in my hands. I used Snazzle, which is a silver foil as a base. As soon as my base polish dried I applied a coat of BYS black cracked polish and waited. I was so excited as I watched the effect appear on my nails. After this coat was dry too, I applied a coat of Seche Vite (which didn't seem to work well with this polish though as the cracked parts started falling off the next day). I will try with another top coat next time. Hi! I have cracked nail polish too. But the brand is Elena. Mine is in blue green. I remember when I dug the cracked polishes about12 years ago, I've always liked them and am excited to see there's a brand around still doing it! I like the black over silver. 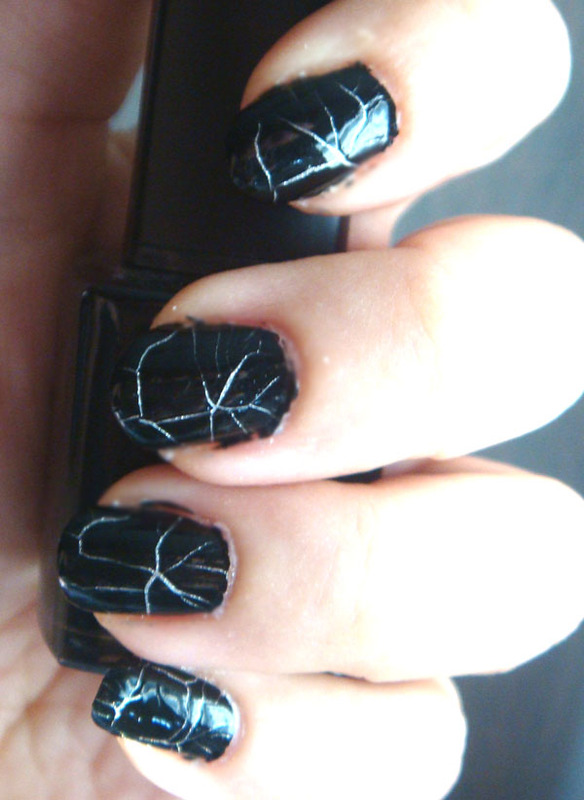 that cracked polish is so awesome!!! I love the cracked polish. I also received them in a swap with 'Chelle and can't wait to try them. Hoping this weekend! It looks really really good!! !Is it the one you got from the swap?I'd so try it with hot pink as a base coat! @Freshie wow I had no idea the concept is so old. I've never seen any when I was younger, I guess they never made it to my country. @Lacquer Ware for Tips and Toes Can't wait to see your combinations too. I find it so exciting, waiting for the polish to crack. 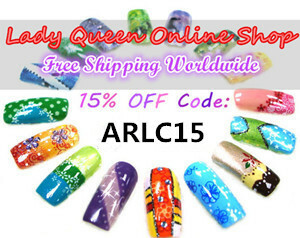 @Alice thank you ^_^ I hope there will be some cracked polish brands in Europe too.